GUELPH, ON – Wellington Brewery has announced the schedule and other details for the 2019 edition of its Queen of Craft series of beer education events for women. March 29th at venue tbc: GLOB (Gorgeous Ladies of Beer) – An evening of craft beer and women’s wrestling, with more details to be announced in February. 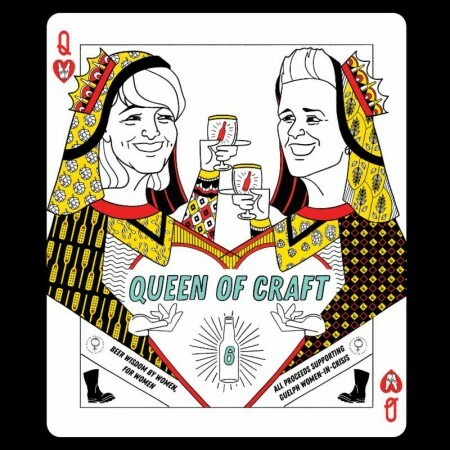 A collaborative Queen of Craft beer will be brewed at Wellington on January 27th and will be available to purchase at the brewery in time for the series in March. Full details and ticket ordering for all events are available on the Queen of Craft 2019 Eventbrite page. Proceeds from the series will be donated to Guelph-Wellington Women in Crisis to support its important work in the community.